Jesus Is Coming Soon! 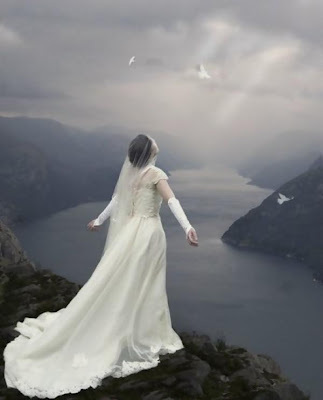 "The [Holy] Spirit and the Bride [His Church] say, Come..."
6 Then I heard what sounded like a great multitude, like the roar of rushing waters and like loud peals of thunder, shouting: "Hallelujah! For our Lord God Almighty reigns. 7 Let us rejoice and be glad and give him glory! For the wedding of the Lamb [Jesus: John 1: 29] has come, and his bride [believers] has made herself ready. 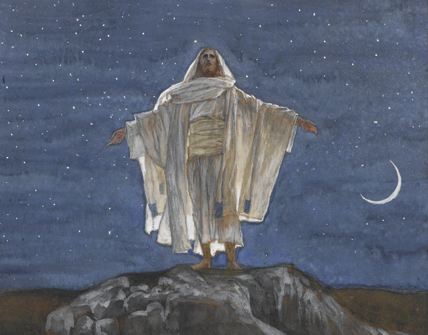 8 Fine linen, bright and clean [or clean and white], was given her to wear." (Fine linen stands for the righteous acts of the saints. 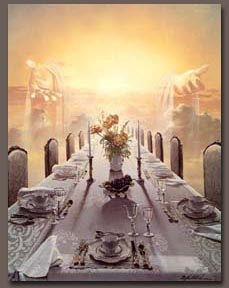 )9 Then the angel said to me, "Write: 'Blessed are those who are invited to the wedding supper of the Lamb!' " And he added, "These are the true words of God." 7 On this mountain he will destroy the shroud that enfolds all peoples, the sheet that covers all nations; 8 he will swallow up death forever. The Sovereign LORD will wipe away the tears from all faces; he will remove the disgrace of his people from all the earth. The LORD has spoken. 9 In that day they will say, "Surely this is our God; we trusted in him, and he saved us. This is the LORD, we trusted in him; let us rejoice and be glad in his salvation." 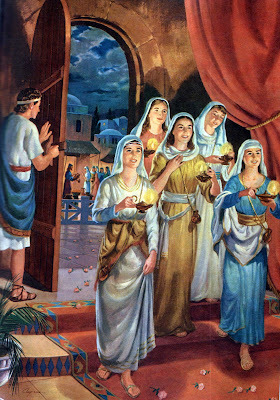 1 "At that time the kingdom of heaven will be like ten virgins who took their lamps and went out to meet the bridegroom. [ Jesus] 2 Five of them were foolish and five were wise. 3 The foolish ones took their lamps but did not take any oil with them [Oil is a symbol of the Holy Spirit]. 4 The wise, however, took oil in jars along with their lamps. 5 The bridegroom was a long time in coming, and they all became drowsy and fell asleep. 12"But he replied, 'I tell you the truth, I don't know you.' 13"Therefore keep watch, because you do not know the day or the hour. 23 "Then the master told his servant, 'Go out to the roads and country lanes and make them come in, so that my house will be full. 24 I tell you, not one of those men who were invited will get a taste of my banquet.' 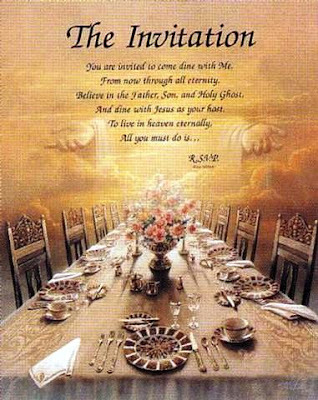 "
1 Jesus spoke to them again in parables, saying: 2 "The kingdom of heaven is like a king [God] who prepared a wedding banquet for his son [Jesus] . 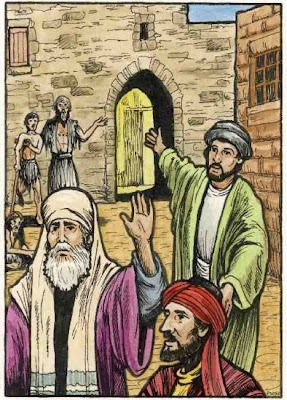 3 He sent his servants [the prophets] to those who had been invited to the banquet to tell them to come, but they refused to come. 5 "But they paid no attention and went off—one to his field, another to his business. 6 The rest seized his servants [the prophets], mistreated them and killed them. 7 The king was enraged. He sent his army and destroyed those murderers and burned their city. 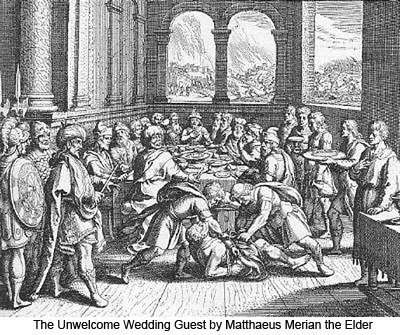 8 "Then he said to his servants, ' The wedding banquet is ready, but those I invited did not deserve to come. 9 Go to the street corners and invite to the banquet anyone you find.' 10 So the servants went out into the streets and gathered all the people they could find, both good and bad, and the wedding hall was filled with guests. These are the words of him who holds the seven spirits of God and the seven stars. I know your deeds; you have a reputation of being alive, but you are dead. 2 Wake up! Strengthen what remains and is about to die, for I have not found your deeds complete in the sight of my God. 3 Remember, therefore, what you have received and heard; obey it, and repent. But if you do not wake up, I will come like a thief, and you will not know at what time I will come to you. 4 Yet you have a few people in Sardis who have not soiled their clothes. They will walk with me, dressed in white, for they are worthy. 5 He who overcomes will, like them, be dressed in white. I will never blot out his name from the book of life, but will acknowledge his name before my Father and his angels. 6 He who has an ear, let him hear what the Spirit says to the churches. 11 I am coming soon. Hold on to what you have, so that no one will take your crown. 12 Him who overcomes I will make a pillar in the temple of my God. Never again will he leave it. I will write on him the name of my God and the name of the city of my God, the new Jerusalem, which is coming down out of heaven from my God; and I will also write on him my new name. 13 He who has an ear, let him hear what the Spirit says to the churches. 22 Then Jesus went through the towns and villages, teaching as he made his way to Jerusalem. 23 Someone asked him, "Lord, are only a few people going to be saved?" 13 Then Jesus said to the centurion, "Go! It will be done just as you believed it would." And his servant was healed at that very hour. 18 But as surely as God is faithful, our message to you is not “Yes” and “No.” 19 For the Son of God, Jesus Christ, who was preached among you by me [Paul] and Silas and Timothy, was not “Yes” and “No,” but in him it has always been “Yes.” 20 For no matter how many promises God has made, they are “Yes” in Christ. And so through him the “Amen” is spoken by us to the glory of God. 21 Now it is God who makes both us and you stand firm in Christ. He anointed us, 22 set his seal of ownership on us, and put his Spirit in our hearts as a deposit [pledge], guaranteeing what is to come. 35 "Be dressed ready for service and keep your lamps burning, 36 like men waiting for their master to return from a wedding banquet, so that when he comes and knocks they can immediately open the door for him. 37 It will be good for those servants whose master finds them watching when he comes. I tell you the truth, he will dress himself to serve, will have them recline at the table and will come and wait on them. 38 It will be good for those servants whose master finds them ready, even if he comes in the second or third watch of the night. 39 But understand this: If the owner of the house had known at what hour the thief was coming, he would not have let his house be broken into. 40 You also must be ready, because the Son of Man will come at an hour when you do not expect him." 42 The Lord answered, "Who then is the faithful and wise manager, whom the master puts in charge of his servants to give them their food allowance at the proper time? 43 It will be good for that servant whom the master finds doing so when he returns. 44 I tell you the truth, he will put him in charge of all his possessions. 45 But suppose the servant says to himself, 'My master is taking a long time in coming,' and he then begins to beat the menservants and maidservants and to eat and drink and get drunk. 46 The master of that servant will come on a day when he does not expect him and at an hour he is not aware of. He will cut him to pieces and assign him a place with the unbelievers. 47 "That servant who knows his master's will and does not get ready or does not do what his master wants will be beaten with many blows. 48 But the one who does not know and does things deserving punishment will be beaten with few blows. From everyone who has been given much, much will be demanded; and from the one who has been entrusted with much, much more will be asked. 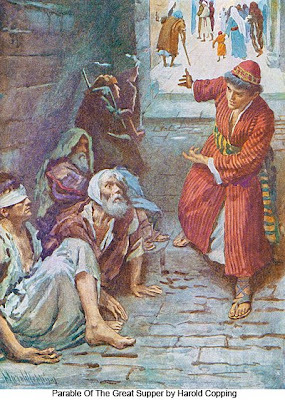 14 Then John's disciples came and asked him, "How is it that we and the Pharisees fast, but your disciples do not fast?" 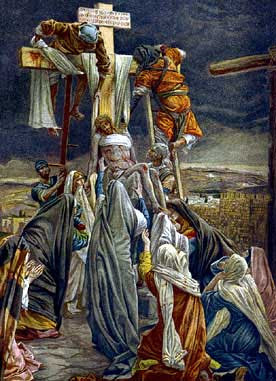 15 Jesus answered, " How can the guests of the bridegroom mourn while he is with them? 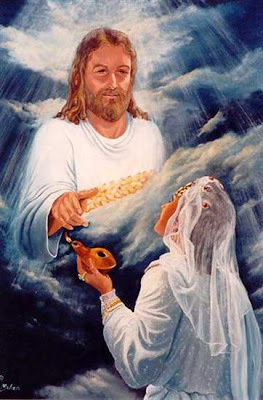 The time will come when the bridegroom [Jesus] will be taken from them; then they will fast. 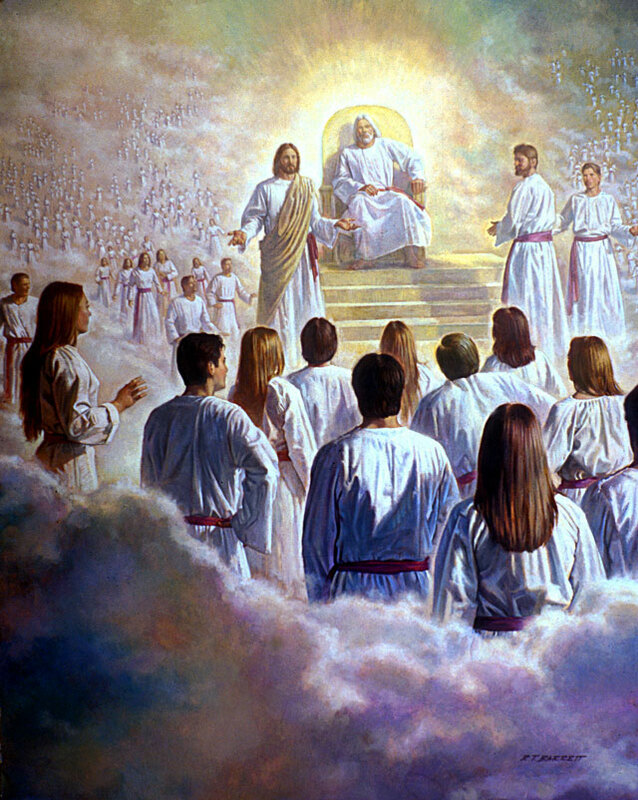 19 Jesus answered, "How can the guests of the bridegroom fast while he is with them? They cannot, so long as they have him with them. 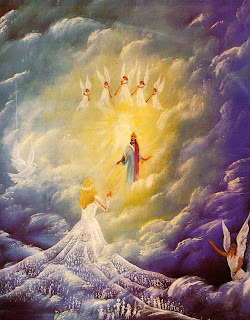 20 But the time will come when the bridegroom [Jesus] will be taken from them, and on that day they will fast. 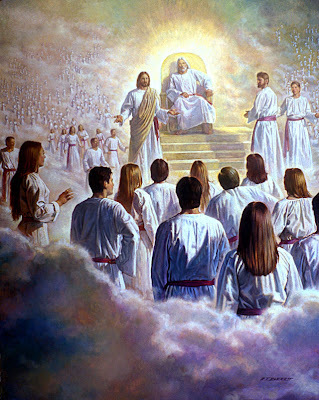 34 Jesus answered, "Can you make the guests of the bridegroom fast while he is with them? 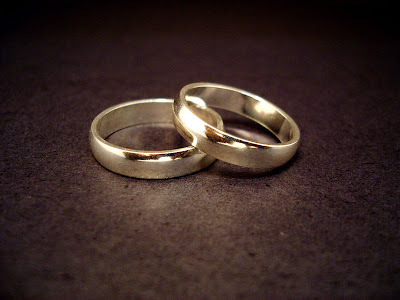 35 But the time will come when the bridegroom will be taken from them; in those days they will fast." 22 After this, Jesus and his disciples went out into the Judean countryside, where he spent some time with them, and baptized. 23 Now John also was baptizing at Aenon near Salim, because there was plenty of water, and people were constantly coming to be baptized. 24 (This was before John was put in prison.) 25 An argument developed between some of John's disciples and a certain Jew over the matter of ceremonial washing. 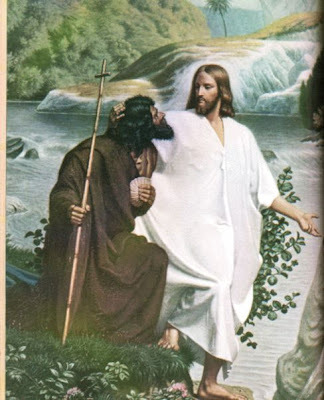 26 They came to John and said to him, "Rabbi, that man [Jesus] who was with you on the other side of the Jordan—the one you testified about—well, he is baptizing, and everyone is going to him." 29 The bride belongs to the bridegroom. The friend who attends the bridegroom [ John] waits and listens for him, and is full of joy when he hears the bridegroom's voice. That joy is mine, and it is now complete. 30 He [Jesus] must become greater; I must become less. 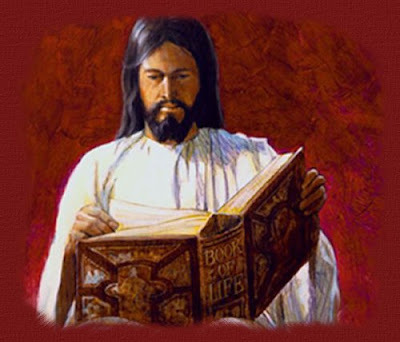 31 "The one who comes from above [Jesus] is above all; the one who is from the earth [John] belongs to the earth, and speaks as one from the earth. The one who comes from heaven is above all. 32 He testifies to what he has seen and heard, but no one accepts his testimony. 33 The man who has accepted it has certified that God is truthful. 34 For the one whom God has sent speaks the words of God, for God gives the Spirit without limit. 35 The Father loves the Son and has placed everything in his hands. 36 Whoever believes in the Son has eternal life, but whoever rejects the Son will not see life, for God's wrath remains on him." 25 Husbands, love your wives, just as Christ loved the church and gave himself up for her 26 to make her holy, cleansing her by the washing with water through the word, 27 and to present her to himself as a radiant church, without stain or wrinkle or any other blemish, but holy and blameless. 28 In this same way, husbands ought to love their wives as their own bodies. He who loves his wife loves himself. 29 After all, no one ever hated his own body, but he feeds and cares for it, just as Christ does the church— 30 for we are members of his body. 31 “For this reason a man will leave his father and mother and be united to his wife, and the two will become one flesh.” [Gen. 2:24] 32 This is a profound mystery—but I am talking about Christ and the church. 33 However, each one of you also must love his wife as he loves himself, and the wife must respect her husband. 1 "Say of your brothers, ' My people,' and of your sisters, ' My loved one.' . . .
16 "In that day," declares the LORD, "you will call me 'my husband'; you will no longer call me 'my master. '. . . . 19 I will betroth you to me forever; I will betroth you in righteousness and justice, in love and compassion. . . .
20 I will betroth you in faithfulness, and you will acknowledge the LORD. 22 and the earth will respond to the grain, the new wine and oil, and they will respond to Jezreel. [ Jezreel means God plants ] 23 I will plant her for myself in the land; I will show my love to the one I called 'Not my loved one. ' I will say to those called 'Not my people, ' 'You are my people'; and they will say, 'You are my God.' "
14 "Return, faithless people," declares the LORD, "for I am your husband. I will choose you—one from a town and two from a clan—and bring you to Zion. 15 Then I will give you shepherds after my own heart, who will lead you with knowledge and understanding. 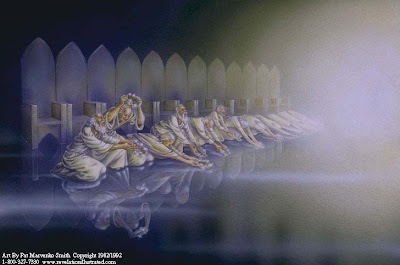 16 In those days, when your numbers have increased greatly in the land," declares the LORD, "men will no longer say, 'The ark of the covenant of the LORD.' It will never enter their minds or be remembered; it will not be missed, nor will another one be made. 17 At that time they will call Jerusalem The Throne of the LORD, and all nations will gather in Jerusalem to honor the name of the LORD. No longer will they follow the stubbornness of their evil hearts. 18 In those days the house of Judah will join the house of Israel, and together they will come from a northern land to the land I gave your forefathers as an inheritance. 5 He who was seated on the throne said, "I am making everything new! " Then he said, "Write this down, for these words are trustworthy and true." 9 One of the seven angels who had the seven bowls full of the seven last plagues came and said to me, "Come, I will show you the bride, the wife of the Lamb." 10 And he carried me away in the Spirit to a mountain great and high, and showed me the Holy City, Jerusalem, coming down out of heaven from God. 11 It shone with the glory of God, and its brilliance was like that of a very precious jewel, like a jasper, clear as crystal. 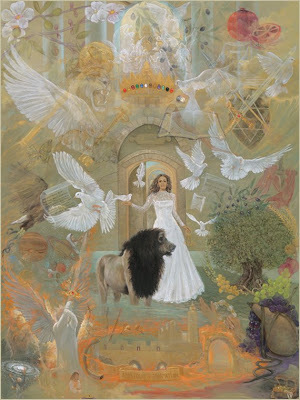 12 It had a great, high wall with twelve gates, and with twelve angels at the gates. On the gates were written the names of the twelve tribes of Israel. 13 There were three gates on the east, three on the north, three on the south and three on the west. 14 The wall of the city had twelve foundations, and on them were the names of the twelve apostles of the Lamb. 15 The angel who talked with me had a measuring rod of gold to measure the city, its gates and its walls. 16 The city was laid out like a square, as long as it was wide. He measured the city with the rod and found it to be 12,000 stadia [aprox 1,400 miles or 2,200 kilometers)] in length, and as wide and high as it is long. 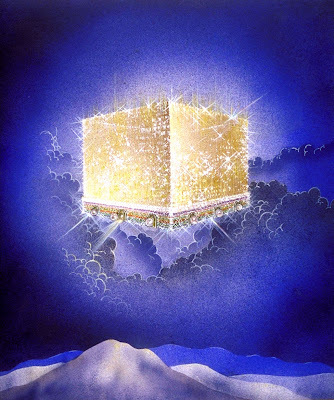 17 He measured its wall and it was 144 cubits [200 feet or 65 meters)] thick, [or high] by man's measurement, which the angel was using. 18 The wall was made of jasper, and the city of pure gold, as pure as glass. 19 The foundations of the city walls were decorated with every kind of precious stone. The first foundation was jasper, the second sapphire, the third chalcedony, the fourth emerald, 20 the fifth sardonyx, the sixth carnelian, the seventh chrysolite, the eighth beryl, the ninth topaz, the tenth chrysoprase, the eleventh jacinth, and the twelfth amethyst. 21 The twelve gates were twelve pearls, each gate made of a single pearl. The great street of the city was of pure gold, like transparent glass. 1 Because I love Zion, I will not keep still. Because my heart yearns for Jerusalem, I cannot remain silent. I will not stop praying for her until her righteousness shines like the dawn, and her salvation blazes like a burning torch. 2 The nations will see your righteousness. World leaders will be blinded by your glory. And you will be given a new name by the Lord’s own mouth. 3 The Lord will hold you in his hand for all to see— a splendid crown in the hand of God. 4 Never again will you be called “The Forsaken City” [Hebrew Azubah, which means “forsaken.” ] or “The Desolate Land.” [Hebrew: Shemamah, which means “desolate.”] Your new name will be “The City of God’s Delight” [Hebrew: Hephzibah, which means “my delight is in her.”] and “The Bride of God,” [Hebrew: Beulah, which means “married.”] for the Lord delights in you and will claim you as his bride. 5 Your children will commit themselves to you, O Jerusalem, just as a young man commits himself to his bride. 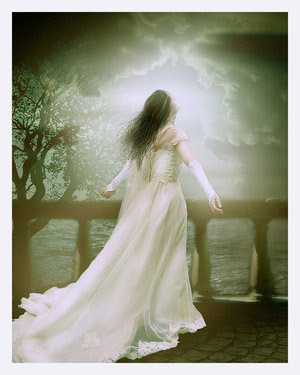 Then God will rejoice over you as a bridegroom rejoices over his bride.